Tearing your hair out over what to do with your investment properties during a market slowdown? 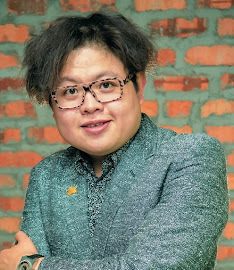 Well, according to Chur Associates founder and managing partner, Chris Tan (pictured), one has to consider a variety of options in tough market conditions. “You need to think long term and be flexible with what you can do. Remember not to have sentimental value over the property — it is always the head over the heart,” Tan told participants at The Edge Investment Forum for Real Estate 2017 organised by City & Country of The Edge Malaysia, presented by Sunway Property and supported by TheEdgeProperty.com. Speaking on the topic, “Legal Insight: What can you do with your properties in these tough times?”, Tan presented a few ideas to property investors including offering rent to own, diversifying the property portfolio and offering flexi tenures to tenants. “For example, as a seller, if your buyer cannot afford to buy a house, you can propose to them to see how you can work out a scheme to convert the rental as a deposit for the house. Similarly, as a buyer, it can be done vice versa in a way that you can work out with the seller of the house to see how you can rent to own the property,” offered Tan.